The Caldera de Taburiente is one of the three national parks found in the province of Santa Cruz de Tenerife. A visit to La Palma is not complete without experiencing the thrill of passing through crisscrossing deep ravines, losing one’s self in the lush Canarian pine woods. 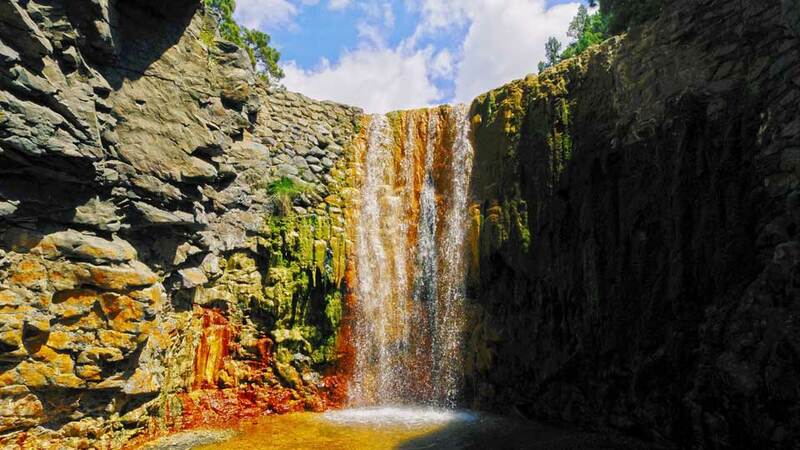 Hiking trails, cascading waterfalls, and lush Laurel pine forests make up the landscape of Caldera de Taburiente National Park. The crater shape terrain dominates the northern part of La Palma. With an area of around 5,000 hectares with rock walls towering more than 2,000 meters, the caldera is considered as the largest erosion crater in the world. The peak of the national park, El Roque de Los Muchachos, stands at 2,426 meters. The fascinating flora and natural landscapes attract millions of visitors every year. Over the years, the national park became a haven for adventure seekers and outdoor junkies. Visitors who want to take a break from the buzz of other tourist-congested cities will appreciate the wonders of the national park. The pristine Taburiente Beach, the beautiful hiking trails and lovely nights under the stars await at Caldera de Taburiente National Park. Whether visitors are looking to laze on the isolated beach or take one of the many challenging hiking trails, they will never run out of adventures at Caldera de Taburiente National Park. Situated at the center of this breathtaking national park is a wide area perfect for overnight camping. Doing so is free so long as they reserve a day prior. Enjoy a fresh, countryside air while gazing at the stars. Be ready for an enchanting night listening to the sounds of nature at this geological gem of La Palma. Those who are up for some action-filled adventure will find the trails and the striking rock formations of Caldera de Taburiente very exciting. All paths are well-maintained and signposted. Taburiente Beach never disappoints the visitors with its mesmerizing clear waters. Gear up with the snorkeling mask and indulge in the cold flowing waters of the Canary Islands. The iridescent waters from the semi-natural Cascade of Colours waterfall will refresh the senses. The fascinating natural colors of the six-metre-high wall come from the concentrations of the iron, algae, and moss. Iron causes orange rocks while algae and moss turn the water green. Because the water flows all year round, visitors will never miss a chance on this miraculous natural formation. Visitors can take as many postcard-perfect photos as possible while at the national park. Flora and fauna and impressive sceneries that can only be seen in travel documentaries fill this one-of-a-kind oasis. Create and record memories that will make the younger generation inspired to explore. As they always say, it’s better to see something once, than to hear about it a thousand times. Caldera de Taburiente National Park sits in the middle of La Palma Island and is easily accessible at any of its point. However, for safety and convenience purposes, the starting point for all the visitors must be at the Visitors Center located in the municipal district. From the Visitors Center, there are three main entrances to the park. Preference depends mainly on how far the visitors wish to walk and at what level. The visitors center may be reached by bus. As an option, there are also several rent-a-car services. This is a great option to explore not only the national park but also other destinations in La Palma. Most of the rentals are available right at the airport. The Los Brecitos track is a two-hour steady walk to the campsite and is perfect for a day of exploring and enjoying the scenery. 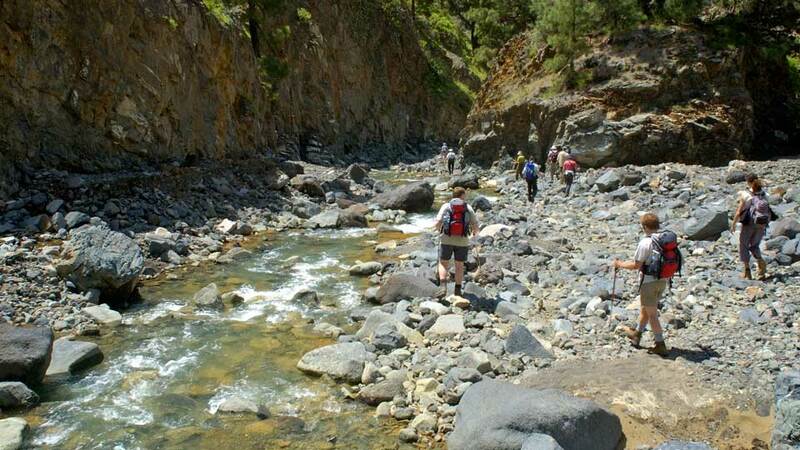 Barranco de las Agustias enters from another side of the park and is a three-hour walk upstream along a ravine. To reach the campsite is a further 2-hour steep up-hill climb recommended only to avid walkers. But if visitors are just there to enjoy the scenery, then the ravine is a beautiful spot to begin. Finally, Mirador de La Cumbrecita Path is aimed only at the experienced walkers and hikers due to its steep climb and relatively dangerous terrain. This path is only recommended at certain times of the year due to its increased danger risk during winter. When traveling to this gem of the Canary Islands, make sure to be packed completely with necessities for a fun-filled adventure such as camping tents, snorkeling gears, cameras, extra batteries, extra clothes, food, water, skin protection and basic first-aid kit. For those who are planning on hiking and trailblazing, prepare a nice working binoculars and a GPS-enabled device that can be utilized for the trails and sightseeing. For overnight campers, there are no fees, but make sure that you are booked in advance. Call the visitors center prior to the day of your visit to confirm your overnight stay and avoid any hassle. There could be many reasons for visitors to spend time with nature. And in a national park like the Caldera de Taburiente, anyone can experience a complete package of nature bonding. Natural environments have remarkable benefits to human health. Swimming and hiking increase body endurance and helps develop the spirit of perseverance. Such activities also make people more energetic and active in our lifestyle. Spending a couple of hours at Caldera de Taburiente National Park is rejuvenating at its best. Visitors wanting to immerse themselves in the beauty of nature will never be disappointed at Caldera de Taburiente National Park. With its unique and impressive flora, fauna and landscape, it is no wonder why Caldera de Taburiente is one of the best national parks in all of the Canary Islands.